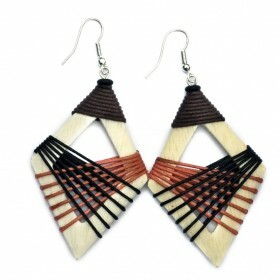 Handmade tribal wooden earrings with exquisite Thai styling. 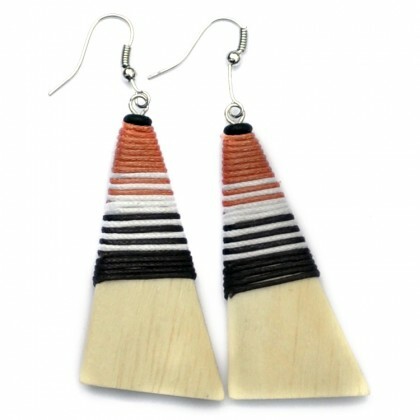 Every set of earrings is individually painted by hand and string wrapped with local Thailand cotton. The attention to detail is phenominal. 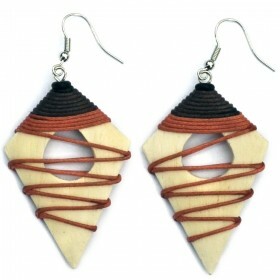 Bright colours, gorgeous designs and made to last. Browse the entire range of Thai Market tribal jewellery and find that special piece of "ear art" you simply must have in your beauty arensal.